Another victim has died attempting to cross Roosevelt Boulevard. Late Monday evening on Feb. 5, 2018, an unidentified woman in her 20s was struck and killed with such force that she came out of both her sneakers, police said. The accident, which occurred on the inner lanes of Roosevelt Boulevard near Large Street, involved a 22-year-old unlicensed male driver. The driver, who stayed at the scene and is cooperating with police, did not appear to be impaired. 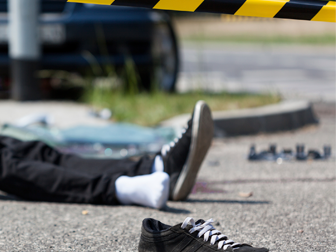 From 2012 through 2016, there were 21,116 reported crashes involving pedestrians in Pennsylvania, according to a Pennsylvania Crash Facts & Statistics study by PennDOT. The study reported 810 pedestrian fatalities. The 12-lane, 14-mile-long Roosevelt Boulevard was originally built to handle trolleys in the late 1800s but now accommodates 90,000 vehicles per day accounting for 150,000 trips. In the five years preceding 2016, there were 3,000 crashes on the Boulevard resulting in about 50 deaths, according to news reports. A $2.5 million federal grant, along with another $2.5 million in state and local contributions, is funding a study to improve the Boulevard’s safety. Recommendations are expected by February 2019. But that is a long time to wait for improved safety measures while the casualties continue. 27-year old mother and three of her children were struck and killed by a vehicle in July 2013 while attempting to cross Roosevelt Boulevard. This case is currently being litigated and is expected to go to trial in early 2018. Jason A. Daria was recently retained by the family of a college student who was struck and killed while crossing the Boulevard at Bingham Street in May 2016.